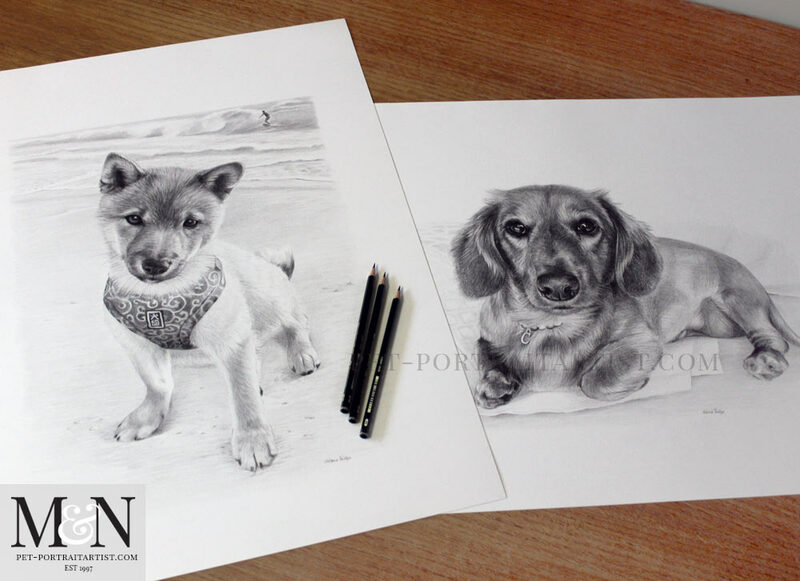 Welcome to my two Pencil Pet Portraits of Mamesuke & Cinnamon. 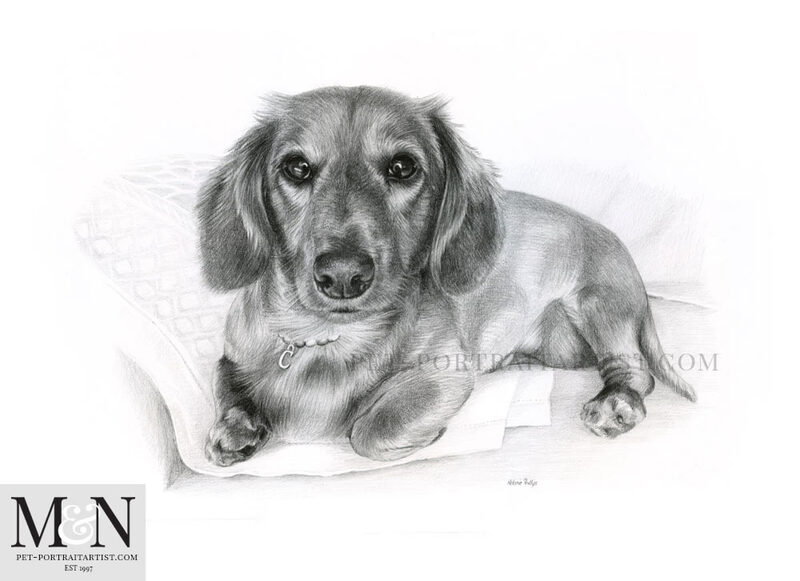 Yuki emailed me via my website asking about commissioning two portraits of her dogs Mamesuke and Cinnamon. Mamesuke is Yukis boyfriends dog and she wanted to surprise him with a drawing for his birthday and also commission one of her dog to match for herself. 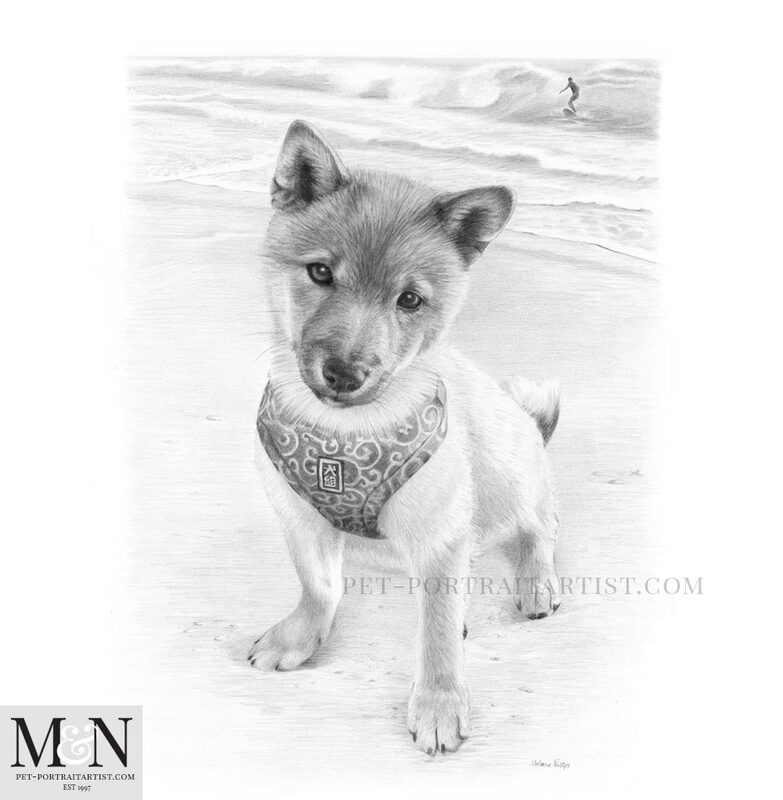 Yuki, from Japan, emailed me lots of photos of them both and asked if I could add a background for each dog. The idea for the portrait of Mamesuke was to have her boyfriend surfing in the background which you can see in the first portrait below. Yuki asked if Cinnamon could be laying on a blanket on their sofa with cushions behind. 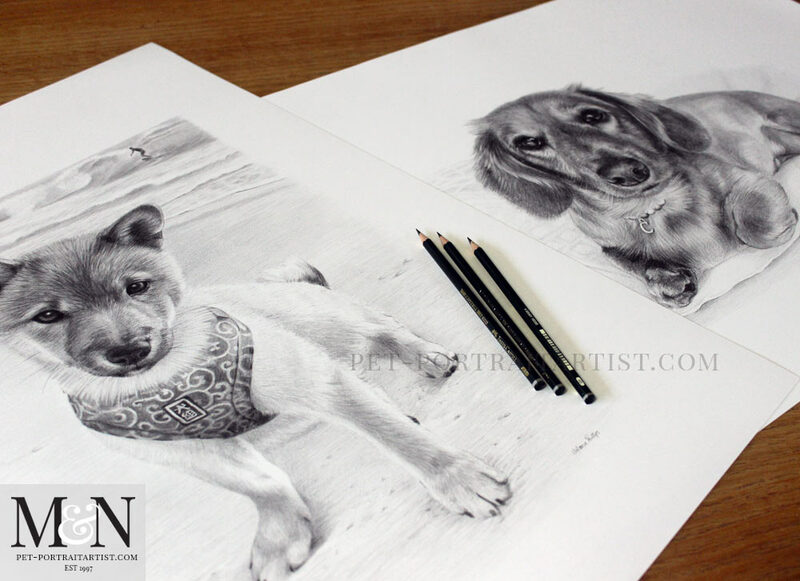 The drawings are both 24 x 18 inches in size and I thoroughly enjoyed drawing them both. 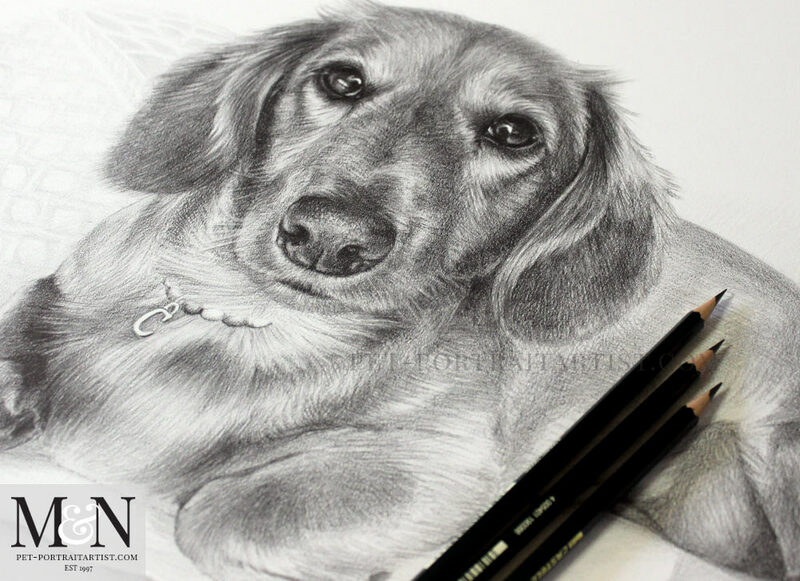 I have taken video of the pencil pet portraits together and I will add it to our Pet Portraits YouTube Channel. 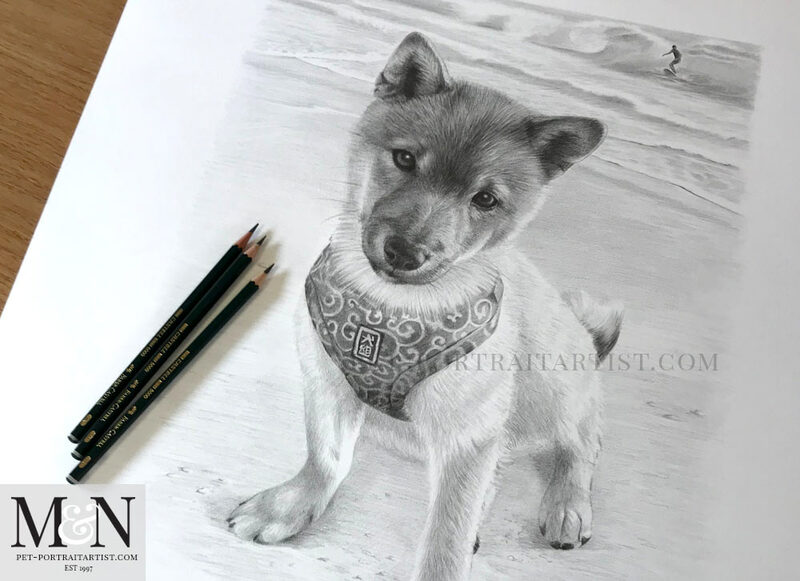 You can also see below, along with candid photos of my drawings with pencils to give scale. I received the beautiful portraits! Thank you again sooo much and I hope you enjoy a wonderful holidays! 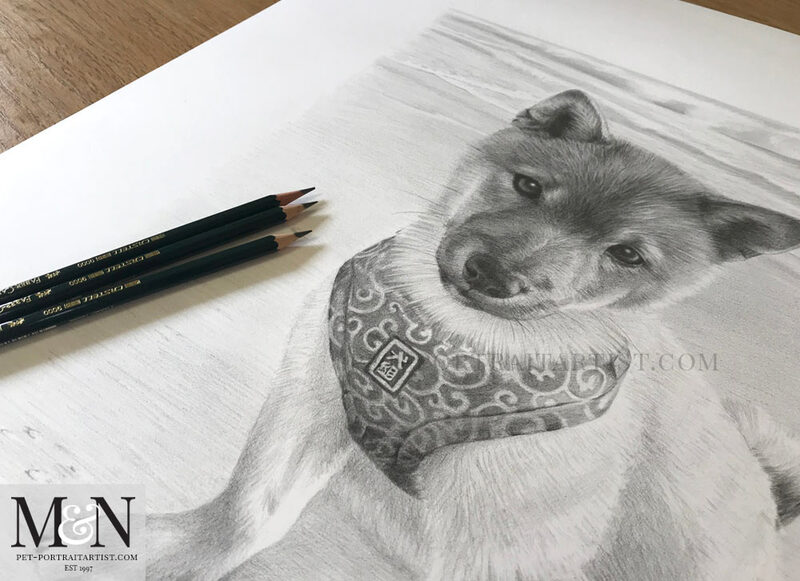 Here is the short video I took of the Pencil Pet Portraits Mamesuke & Cinnamon before packing them up and sending them on their journey to Japan. I hope you enjoy watching it! 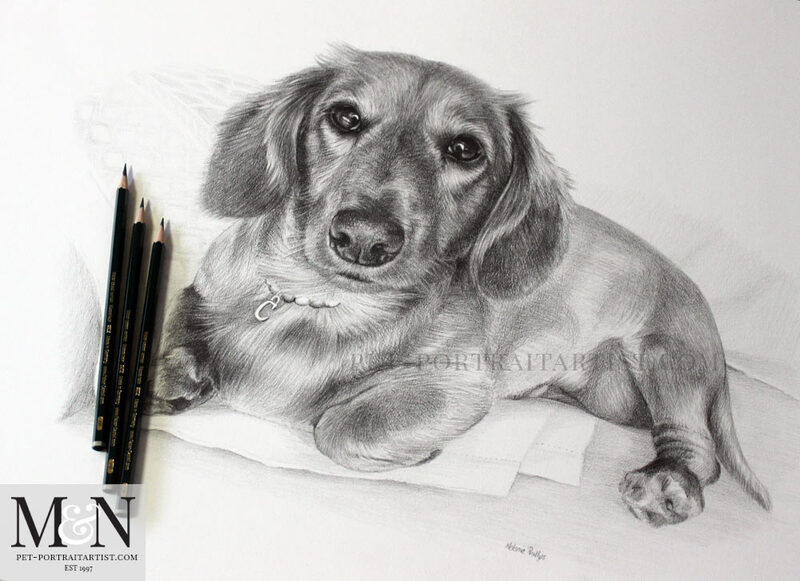 I have taken a number of photos of the Pencil Pet Portraits Mamesuke & Cinnamon with my pencils on my plan chest so that clients can see the size of the portraits. The photos of my drawings always seem to show better than scans which can be quite harsh. The photos show much softer, closer to the original drawings. Melanie, I really look forward to your posts each week. Both you and your husband are so talented and are such an inspiration. I just love seeing your work! Thank you so much for your wonderful message! I am so thrilled you are enjoying our blog posts and artwork 😀 Sending you our very best wishes for the festive season and we look forward to hearing from you again.